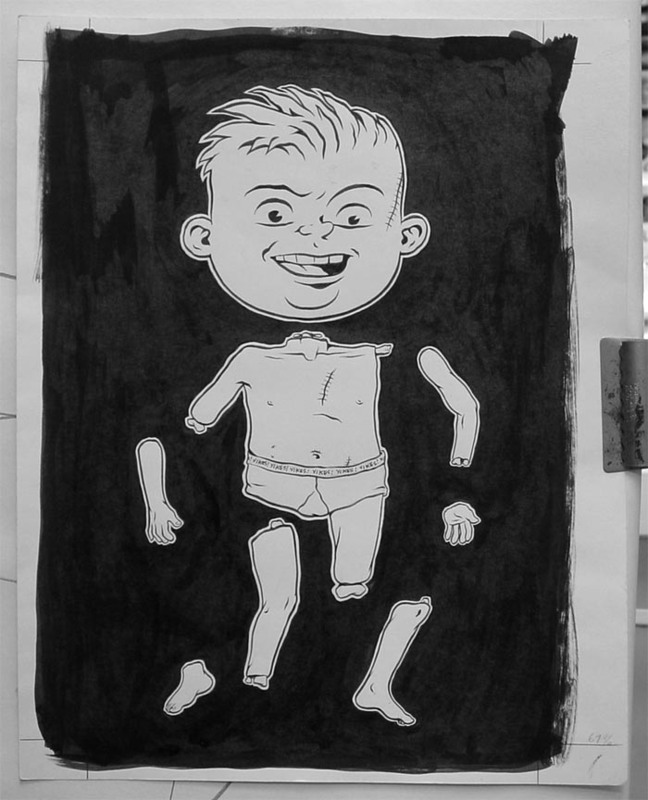 Weird, "ugly" drawing of the Pullapart Boy character from "Yikes." Drawn and published in 1996 as the inside front cover for "Yikes" vol. 1, issue no. 5. @ 12 x 16" --- Come to think of it, this is also the front cover illustration for that comic (which was a "close up" of the face).